An unplanned layover at Narita Airport yielded a pleasant surprise. With a whole morning free before returning to Narita Airport for an early evening flight, we took the shuttle bus from our hotel to Narita City. We walked to Narita-san Shinshō-ji Buddhist temple from the drop off point. The temple is located at the end of a busy, shop-lined street called Omotesando. 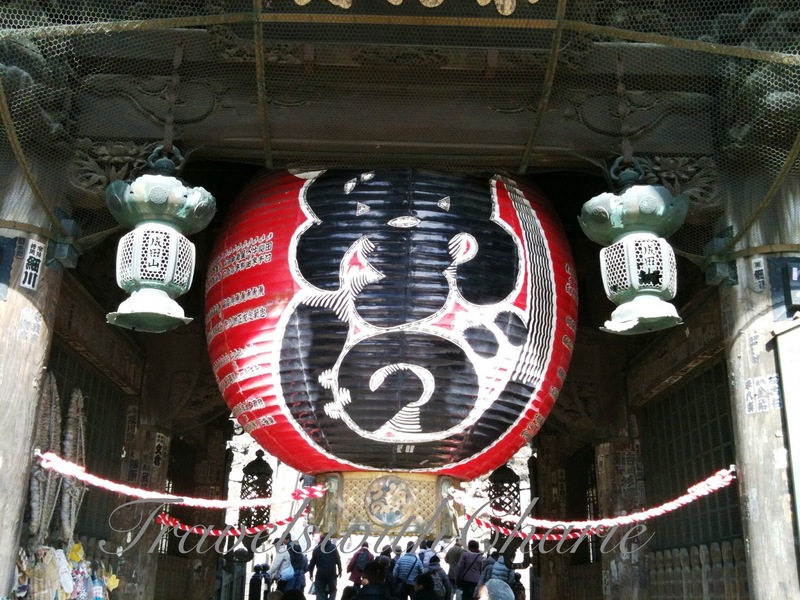 It was the Setsubun Festival (in late January) and the streets in and around the temple were packed with visitors and pilgrims who, like us, were distracted by the many food stalls and enticing curio shops along the way. Setsubun is the celebration of the beginning of spring (according to the lunisolar calendar).